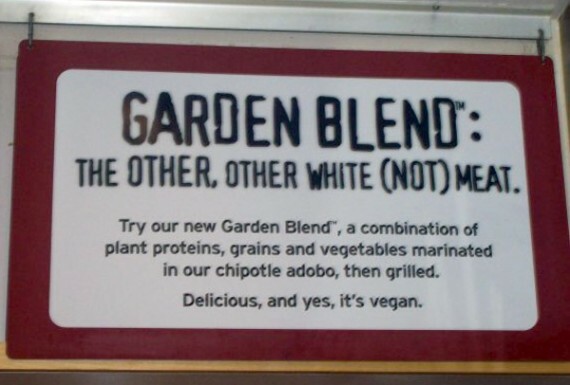 field report: vegan garden blend at chipotle! 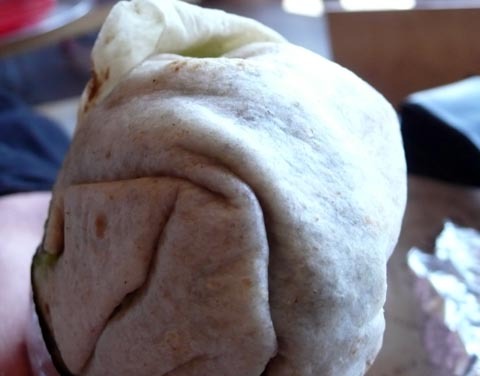 if you find yourself at the farmers market, or anywhere in los angeles for that matter, you can always count on chipotle to offer you a tasty, filling vegan lunch. 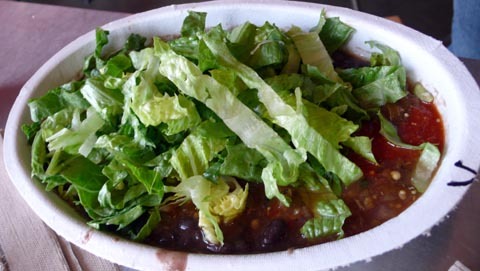 here at quarrygirl.com we love vegan chain dining options, and chipotle is probably our favorite vegan-friendly “fast food” joint. plus, safe mexican food can be hard to come by. 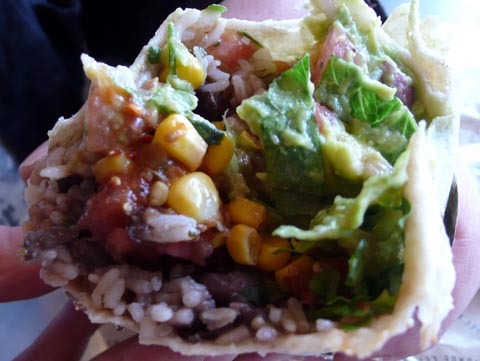 burrito: flour tortilla, cilantro-lime rice, black beans, salsa, romaine lettuce and guacamole. 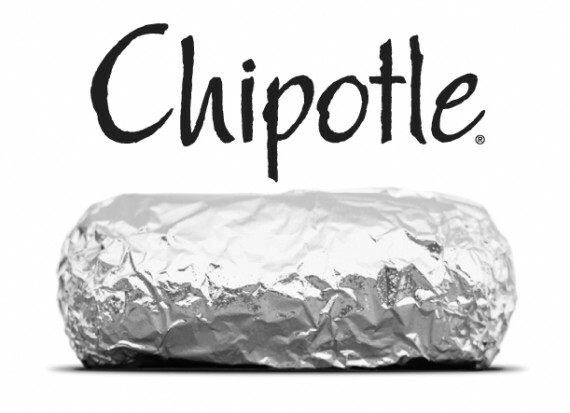 chipotle is especially convenient at the farmers market, because all the other dining options are phenomenally overpriced. 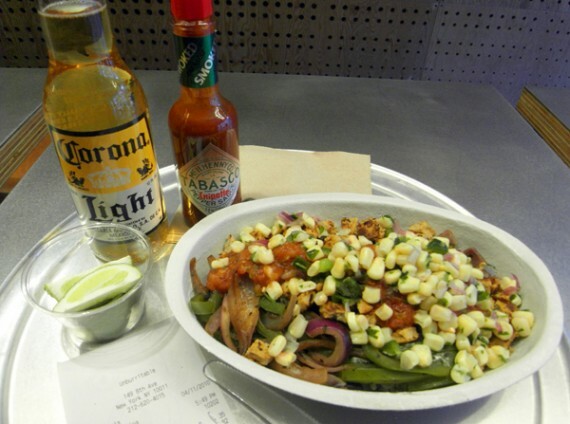 in the midst of all the small vendors, you can count on chipotle to give you ridiculously huge, american-sized portions at considerably low, evil corporation prices. 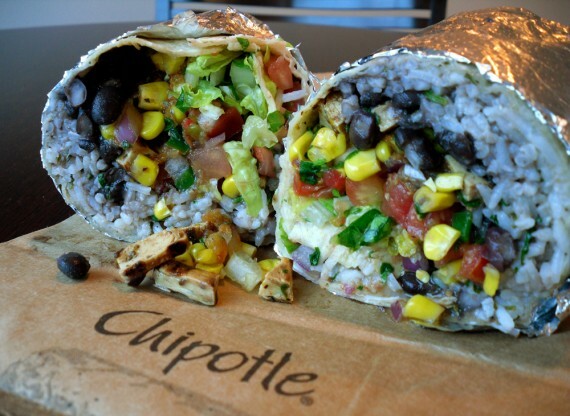 and if you are counting calories, get your vegetarian burrito in a bowl instead. it tastes just as good! my only complaint about chipotle is that they don’t have a salsa bar. 🙁 instead, they offer just 3 different flavors of crummy tabasco sauce. no cholula even! corporate headquarters: if you are listening, you really need to step it up in the salsa department. other than that, great burritos!